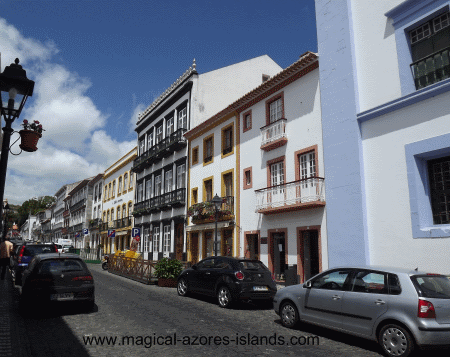 Angra do Heroismo is a fantastic city to visit and highly recommended if you have the opportunity to go to Terceira, Azores. 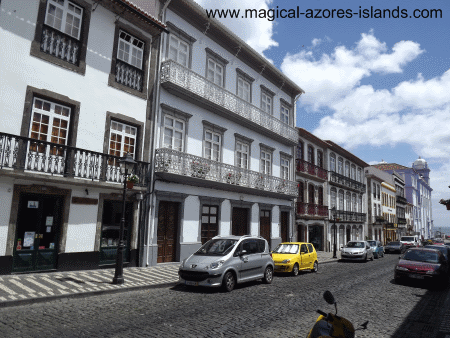 Terceira island was first settled in 1460 and Angra became an important trading city due to it's strategic location in the Atlantic Ocean. When you spend any time in the city you will see countless historic buildings that are well maintained. This city of 21,000 inhabitants has a lot to take in. First, there is the beach, which is pictured above. The beach is located in a nice bay that offers shelter from large waves. And there are plenty of shops and cafes along the cobblestone streets. When walking the cobblestone streets it is easy to imagine yourself hundreds of years back in time (if you can remove the cars of course!). 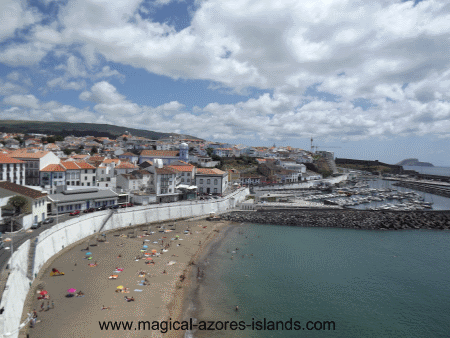 At one time, the marina of Angra do Heroismo was among the most important marina's in the atlantic as it served as a stopping point for trips to the west, to africa, and to the indies. Over time the marinas of Ponta Delgada and Horta surpassed Angra's in importance. But the marina is still a viable option today and is well worth a visit.